Welcome to Must Read, where we single out the best stories from around the automotive universe and beyond. Today we have reports from Car and Driver, Hooniverse and Ars Technica. Terms like "clean diesel" are getting tossed around these days in order to make people forget about sooty engines of the past. It's working to some extent, but the way diesel exhaust is treated is pretty complicated. But fascinating. 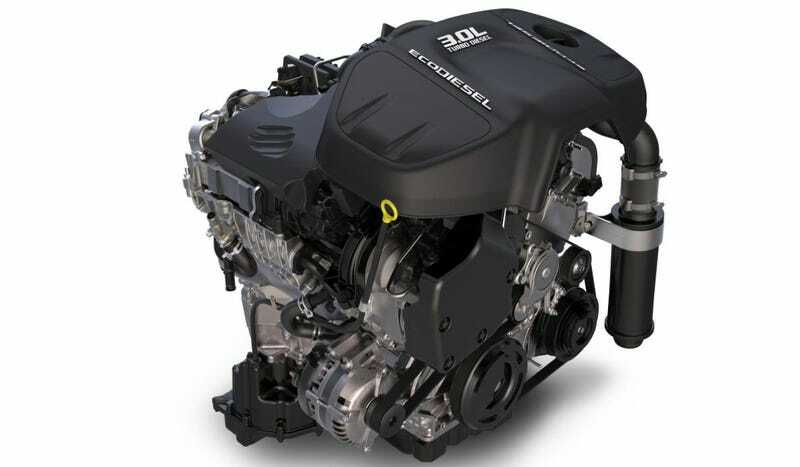 Diesels have an edge on gasoline engines when it comes to fuel economy, but compression-ignition engines need extra help to meet America's emissions regulations. Higher peak-combustion temperatures and pressures produce more oxides of nitrogen than gas engines do. And diesel combustion chambers have fuel-rich pockets that create particulate matter. Funny to think that a racetrack could double as a state park. Or the other way around. Sure is pretty for a number of reasons. This was Bottomless Lakes State Park just a short distance from Roswell, itself far removed from the rest of civilization. The harsh and brutal high-speed race track, called Las Ochas Millas (spelled in a variety of grammatically incorrect Spanish ways depending on where you look), sent racers climbing and diving and scrambling around 7.7 miles of state park road. Races would be few, but its participants and sponsors (including the state of new Mexico) would cling to them enthusiastically. The short answer: it's really difficult. Land speed record attempts are nearly as old as the car itself. After all, it couldn't have taken long for the first motorists to wonder how fast their new contraptions might go given sufficient room. By the early 20th century, record chasers were building special cars with nothing but straight line speed in mind. These higher speeds demanded ever more power thanks to immutable laws of physics; drag (air resistance) increases as the square of speed. In plain English, a car that needs 100hp to reach 100mph would need 400hp to reach 200mph, or 900hp to reach 300mph. More power meant bigger engines, often borrowed from the aircraft industry. Noble's Bloodhound SSC is a natural progression of this trend.